New guidebook highlights over 30 plant species of local cultural significance in Cambodia’s Sandan region. Garcinia cochinchinensis. The Plant Booklet features locally important plants with their Khmer and scientific names, as well as local uses and benefits. In the lush Sandan District of Cambodia’s Kampong Thom Province, plants run wild. The region’s mosaic of different habitats — dense evergreen forests, important riparian buffer zones, cultivated land, seasonally flooded farmland — provides a diverse sampling of plant species and functions. Local communities use local flora as food, medicine and building material, while several threatened wildlife species make their habitats in the greenery. 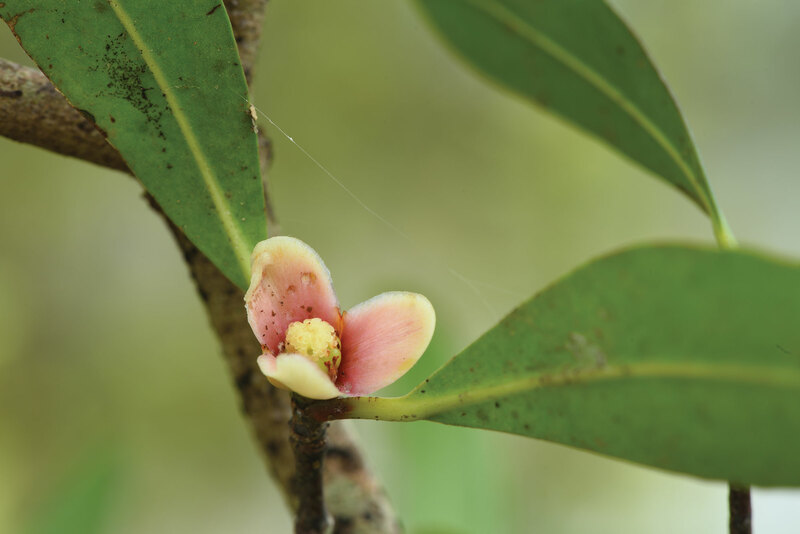 The USAID Supporting Forests and Biodiversity (SFB) project, implemented by Winrock International, recently compiled a guidebook of culturally significant plant species found in Sandan’s Community Forest areas. Following a similar format to the project’s previous guide “Birds in Sandan,” the book presents short profiles of more than 30 plant species regularly used by the community, including beautiful photographs, local Khmer names for each species, scientific binomials and plant families, brief botanical descriptions, and suggested uses. The plants of Sandan remain an important local resource, supporting economic and cultural resilience. As Cambodia develops and urbanization increases, there is a danger that traditional knowledge will be lost. This guide seeks to encourage interest in this fascinating aspect of Khmer culture, educate the increasing number of local and international tourists who visit the sites around Prey Lang, and support on-going efforts to protect Cambodia’s rich natural heritage for future generations.